With the rise of smartphone email clients such as Apple Mail and similar, many email messages that you receive in Outlook will contain images – but they are not sent as attachments. 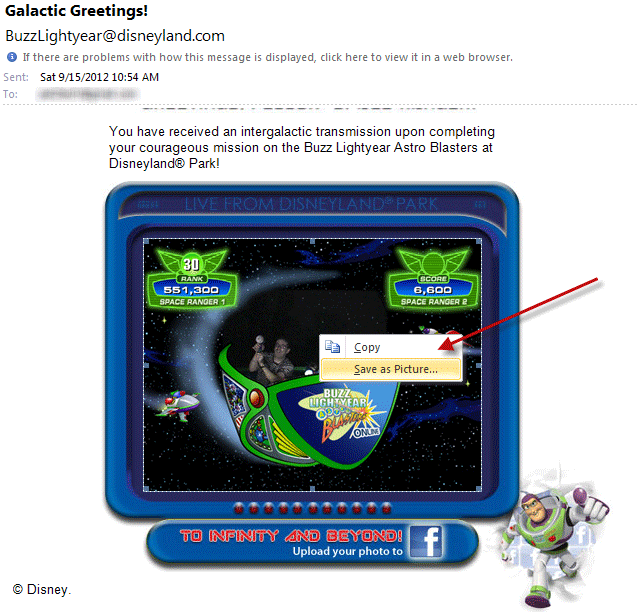 Rather, they are embedded within the actual body of the email itself. This is an annoyance for the many users of Microsoft Outlook (and similar email programs) who want to quickly access and save those images as file attachments. Problem solved and you can save the image directly to your hard drive. 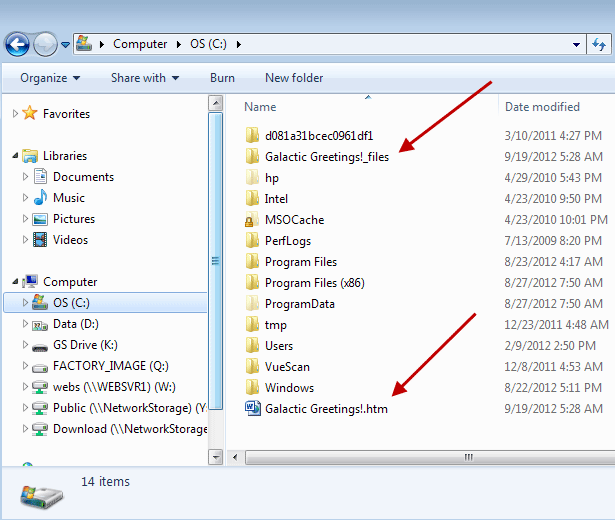 You will notice that you've saved one file and one folder to your hard drive. 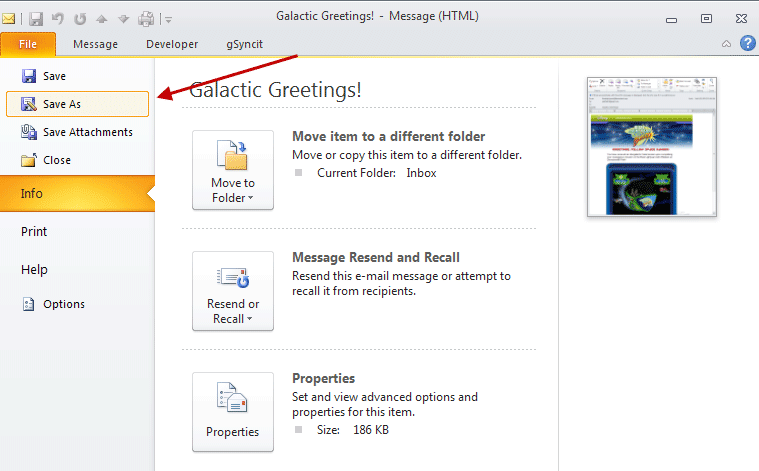 The file is the email itself (with an .htm) extension, and the folder is the name of the email. You want to open the folder. Voila! 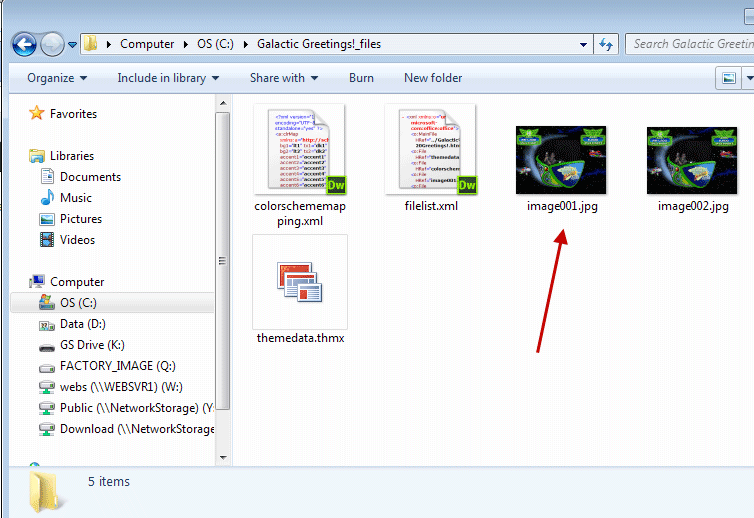 Inside the folder are all your images that were contained within in the email! 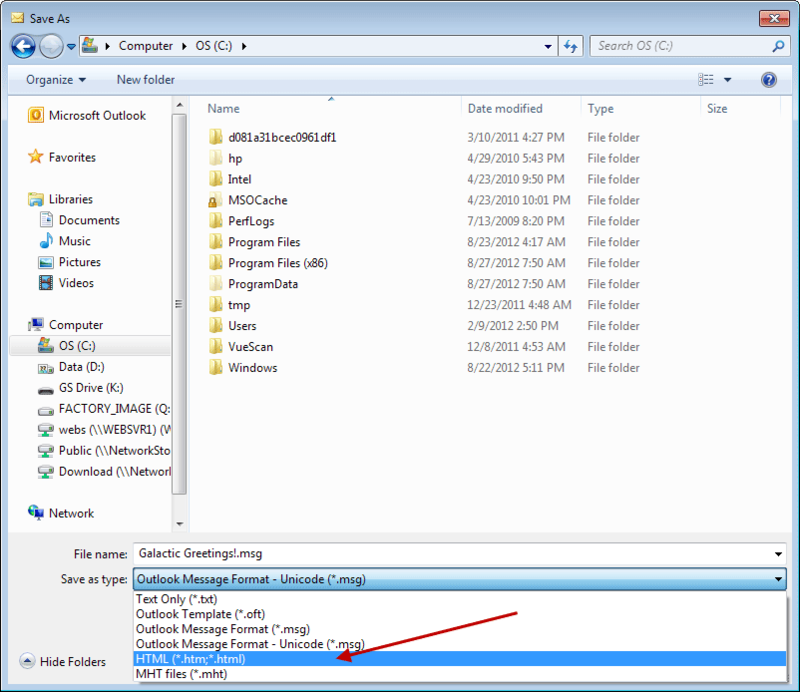 There are other files in there also (mostly XML files) that make up the structure of the email itself. Check the images carefully, as sometimes you may get two different versions of the same image (as shown above). Everything else being equal, you should select the larger file size of the two photo files.